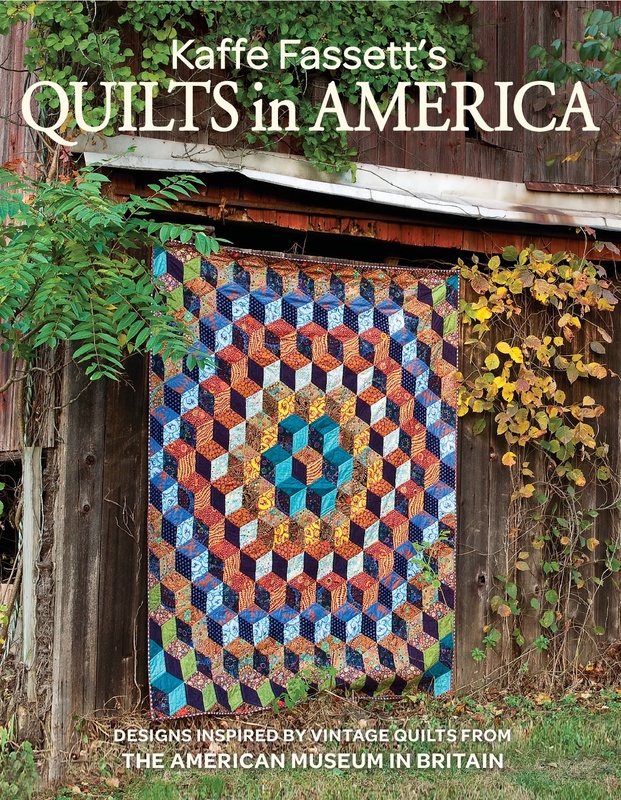 Kaffe has collaborated with Liza Lucy and Aurifil to create two beautiful ranges of threads. 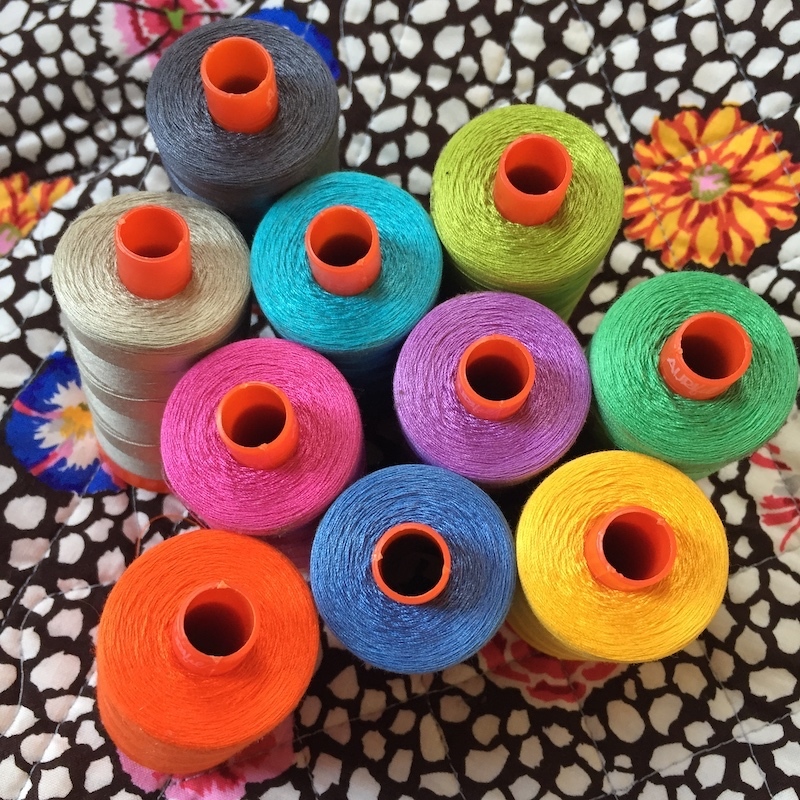 The Kaffe Collective range is a 50-weight thread perfect for machine sewing and quilting. 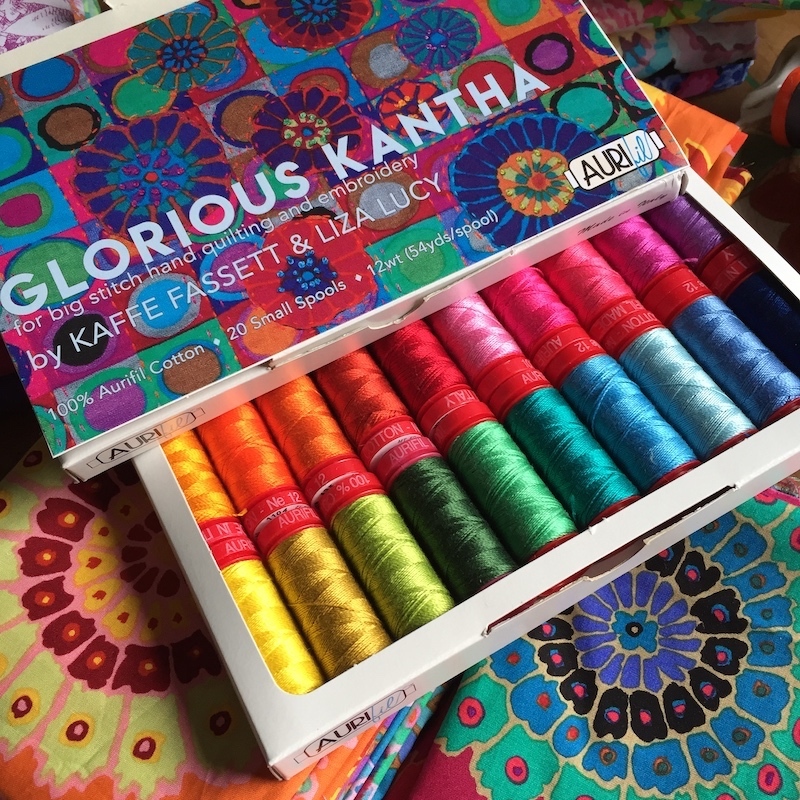 The Glorious Kantha range is a silky 12-weight thread with a lovely sheen, perfect for hand quilting running stitch. Kaffe and Liza discuss their Auriful thread collection.